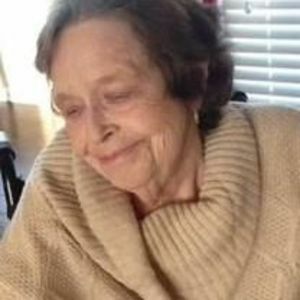 Shirley Ann Coulter 78, of LaGrange, passed away on Monday, February 13, 2017. She was a member of DeHaven Baptist Church. Preceding her in death were her parents: Carl and Sadie Coulter and brother: Rodney Coulter. Survivors include her husband: Thomas Coulter; children: Sharlett Bentley (David) and Barney Coulter (Kathi); grandchildren Keri Hall Sexton (Auston) and Josh Abner (Kat); brothers and sisters: Carlos Coulter (Mary), Bonnie Ryan, Darrell Coulter (Florence) and Sharon Mattingly. A funeral service will be conducted at 10 AM on Saturday, February 18, 2017, at Heady-Radcliffe Funeral Home with burial to follow in Resthaven Cemetery. Visitation from 4-8 PM on Friday. Online condolences can be made at www.heady-radcliffefuneralhome.com.